Three homeschool graduates who are planning to study chemistry at the university level. On Saturday, I had the honor of addressing homeschool graduates at the 23rd annual Indiana Foundation for Homeschooling Statewide Graduation Ceremony. It was an excellent ceremony with great music, wonderful speeches from two of the graduates, and plenty of tradition. For me, however, it was more than that. Nowadays, it is easy to be pessimistic about the future of our nation (and the world in general). This graduation ceremony helped remind me that there is hope, and it rests squarely on the shoulders of graduates like those at the ceremony. There were a total of 80 students who took part in the ceremony, and some of them did something in addition to walking across stage and getting their diploma. One graduate played a (very difficult) violin piece as a prelude to set the mood. The color guard was composed of graduates, and three other graduates led the audience in singing the National Anthem. Two of the graduates gave inspiring speeches, each with a different message. One graduate sang a solo, and another played an impressive piano solo. I gave a commencement address that is similar to one I have given before, and its message is very important to me. While all of these activities made for an excellent ceremony, they weren’t what inspired my hope for this nation (and the world as a whole). That came from getting to know many of the graduates. A lot of homeschool graduations have only a handful of graduates, since they service a small region instead of an entire state. As a result, you can learn a lot about each individual graduate. Since there were so many graduates at this ceremony, that wasn’t possible. Nevertheless, when each graduate walked across the stage, the screen showed his or her name and whatever information that the graduate wanted to share with the audience. Most of the graduates shared their future plans, and in some cases, they were very familiar. A handful of them wanted to become doctors or nurses, others wanted to be engineers, others wanted to be teachers, and one was attending the Coast Guard Academy and planned to have a career as an officer. As I told them in my commencement address, they will probably become leaders in those fields, since homeschool graduates are (on average) better educated than their publicly- and privately-schooled peers (see here and the links therein). It’s not surprising, then, that a higher-than-normal percentage of the students sported the cords of the National Honors Society. However, many of the graduates had future plans that you wouldn’t see very often at a public or private school graduation ceremony. More than one of the young ladies shared that they wanted to be stay-at-home moms. While I don’t think every young lady should have that aspiration (and I think some men should consider being stay-at-home dads), I was pleased to see that these young ladies did. There is no more important task than raising a child properly, and I am glad to see that some dreamed of doing that. In addition, there were several graduates who planned to be pastors or missionaries, and there were some who planned to spend at least a few years on the mission field before doing something else. There was even one brave young lady who shared that she was a survivor of Ewing’s sarcoma, which is a type of bone cancer. I freely admit that I teared up when I read that on the screen. After the ceremony, I wanted to tell her how much it meant to me that she would share that with the audience, but I couldn’t find her. I did find a lot of the other graduates, or at least they found me. They told me about their experiences with one or more of my courses, which I always love to hear. Some of them also shared more details about their future plans. The three young ladies at the top of this post, for example, are all going to university to study chemistry. They have different plans for what they will be doing in that field, but they all credited my chemistry course for inspiring their future plans. I told them that it was simply impossible for me to express how much that means to me! Seeing all the graduates’ future plans was part of what renewed my sense of hope. We need well-prepared students entering into the more “standard” professions like medicine and engineering, and I suspect that these homeschool graduates will meet that need. However, we need good stay-at-home parents, pastors, and missionaries as well, and I was thrilled to see those aspirations present. What really renewed my sense of hope, however, were the personal moments I was able to spend with some of the graduates. Each student to whom I spoke genuinely thanked me for my books. I have to say, it is hard to imagine a typical high school student thanking the author of one of his or her textbooks. However, each one of the graduates with whom I spoke was enthusiastic in his or her thanks. This told me that they take their education very seriously. When students had time to share more details about their plans, I became even more filled with hope. Each student who mentioned their long-term goals included something about service. One of the aspiring doctors wanted to be a medical missionary. One of the future nurses specifically wanted to work in an HIV clinic so she could care for the unloved in our society. One of the graduates who wanted to be a teacher planned to work in an inner-city school. As someone who has spent several years teaching “our future leaders” at the university level, it is easy to become depressed at the selfishness and hedonism that is rampant on university campuses today. It gives me hope to know that there are some students who will act as beacons of light in those dark, dark places. Stop inspiring homeschool students to chemistry and away from physics! Our twin granddaughters, Abby and Katie, who are pictured with you, are a big reason we continue to have hope for the future. We are a retired engineer and a retired educator: education is very important in this family, and the girls have been blessed with great parents and a solid belief in somebody much bigger than you and us. Thank you for the wonderful speech! Please tell Abby and Katie once again how much it meant to me for them to tell me what they did. It was such an inspiring event for me! It was such an honor to meet you and I was delighted to see myself pictured above! Thank you for your kind words and inspiring commencement address, I will remember it for years to come. No, Ashley, thank YOU for making my entire weekend! I have not read it. I have been keeping up with the scientific literature on epigenetics, however. Nice! If you read one day, could you do a review? I’m looking forward a good one! Thank you Dr. If I read it, I certainly will. Since you read about epigenetic, can you answer one question? I know that epigenetic is a mechanism which genes are activated and deactivated, I want to know if this same mechanism can make a gene partially activated or deactivated. Can you give me some papers that tell this? I rejoice with you in the hope of the wonderful young people we see rising up. 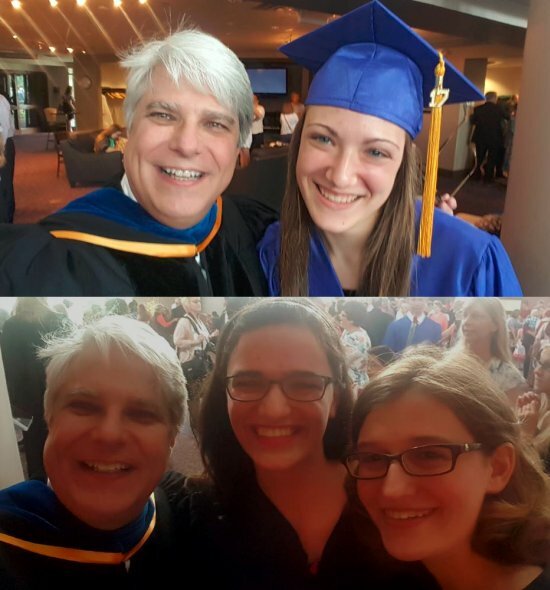 My oldest’ daughter’s homeschool graduation a couple of weeks ago had a lot of similarities with what you described here – inspiring music from the graduates, and graduate’s aspirations that include God and family and not just self. I have really enjoyed the opportunities I’ve had to talk with you at LDSHE conferences you have been to in past years. I would have enjoyed it if you could have made it to our May conference in Virginia this year. It looks like you were booked up. 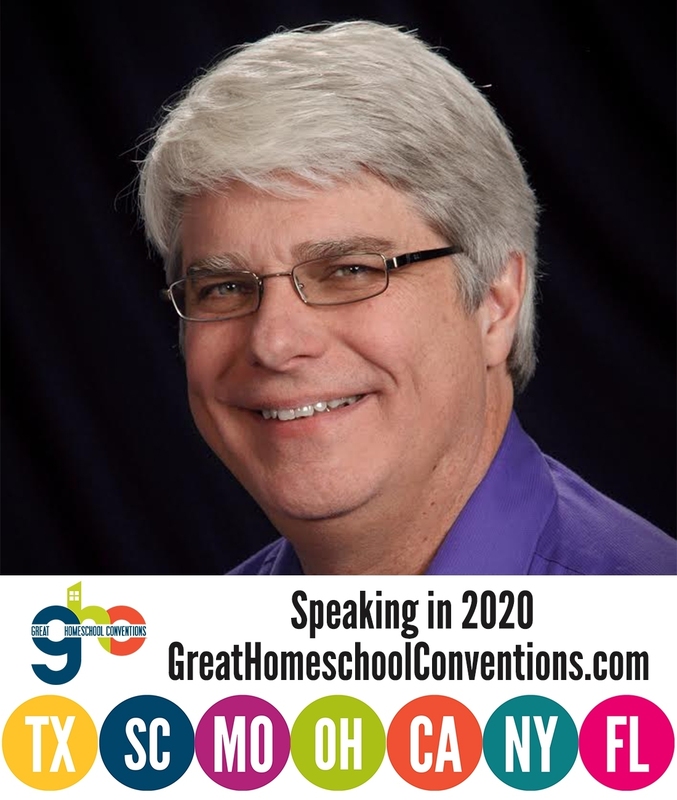 Lots of people missed you; you’ll aways be welcome at at our homeschool conferences. This coming school year will be my 8th year teaching a homeschool co-op science class, and my 3rd year teaching Chemistry. I’m looking forward to using your new book this time. So far it looks great, not that your old one was bad!